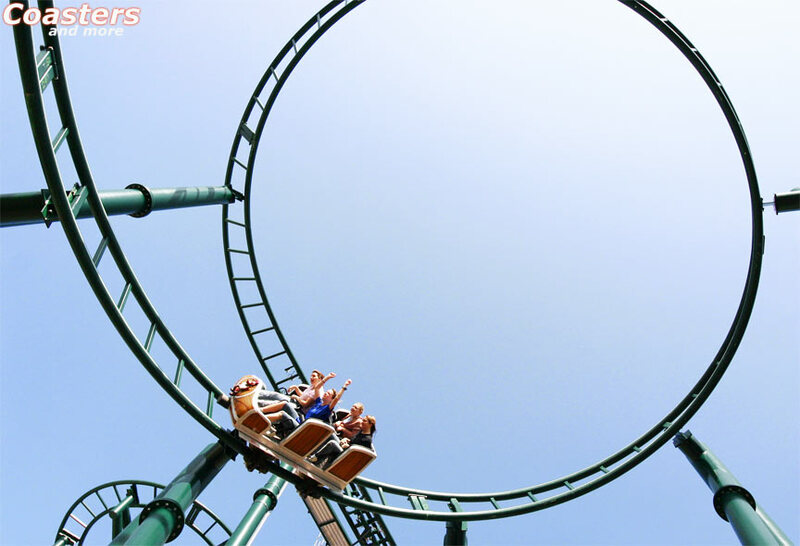 It should be a roller coaster - "but not any", Josef Hennes tells us. 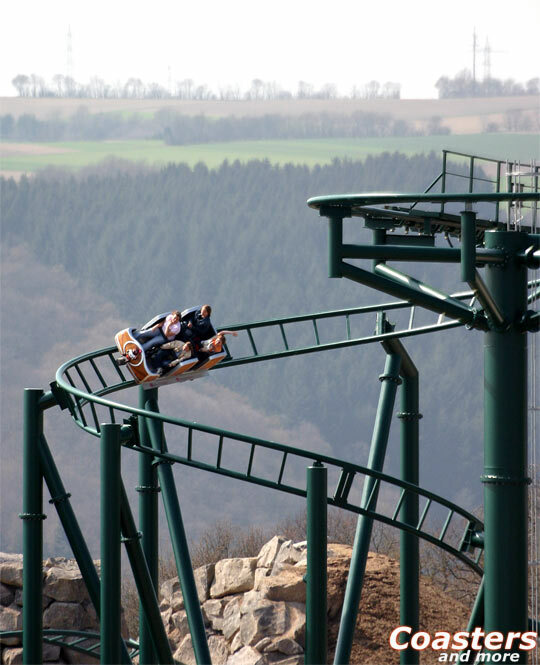 For the 2004 season the Wild- und Freizeitpark Klotten opened this year's only new roller coaster in Germany. 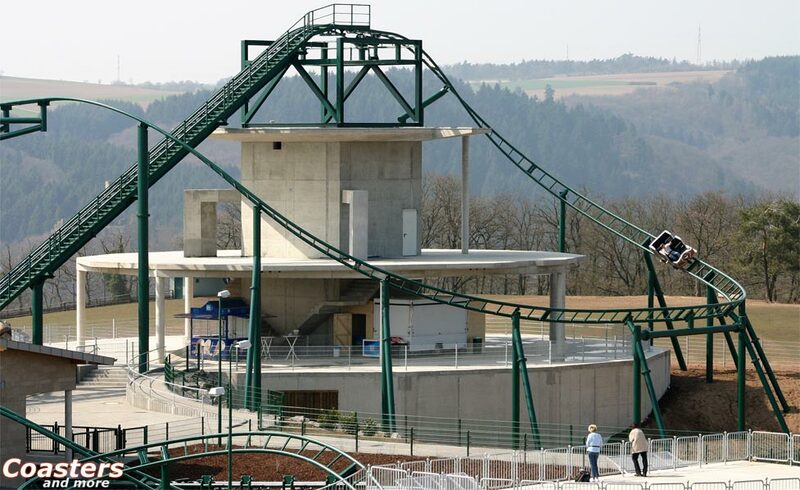 "We dreamt of such a ride for years", says Hubert Hennes, who operates this 30 hectares large area at the southern edge of the Eifel together with his Brother since 1995. 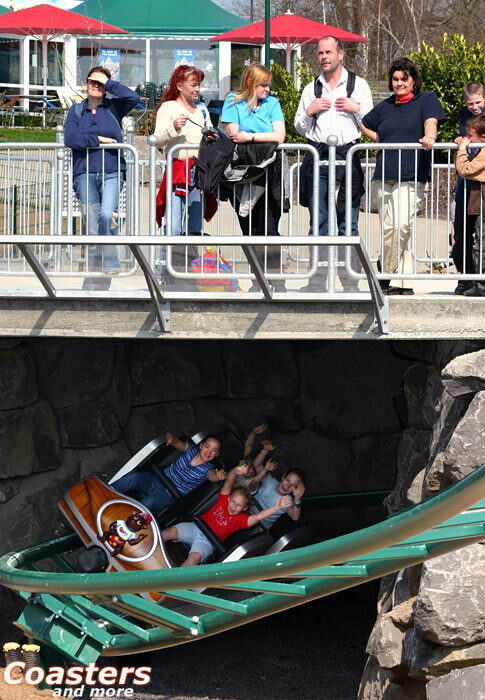 The park is 60 minutes south of Cologne. Since they took over the business from their father the two brothers more than doubled visitor attendance. 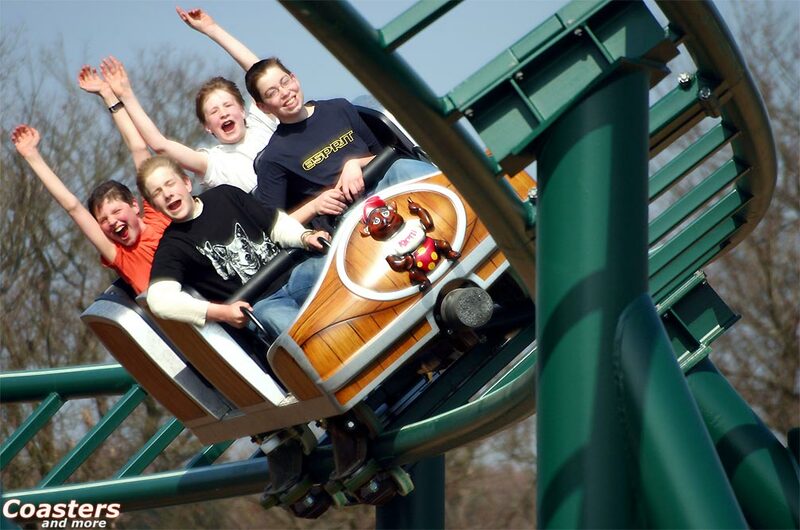 With attractive playground devices and smaller attractions last year 180.000 attendants could be numbered. The visitor structure mainly consisted of school classes and families with younger children. 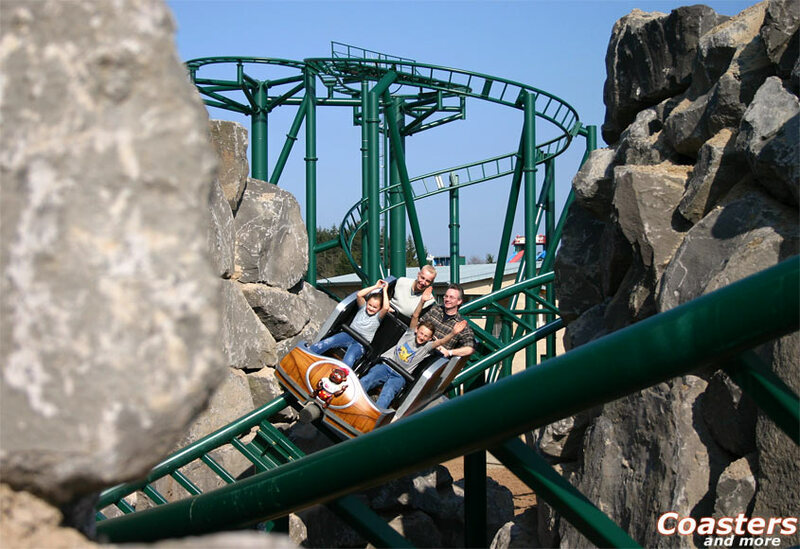 With the new roller coaster by the Gerstlauer company the Hennes brothers want to further exploit the potential of the holiday region and reach new visitor groups. An area of 12.000 square meters was to their disposal, the 530 meters long roller coaster now is the result of the first of three or four stages of construction. 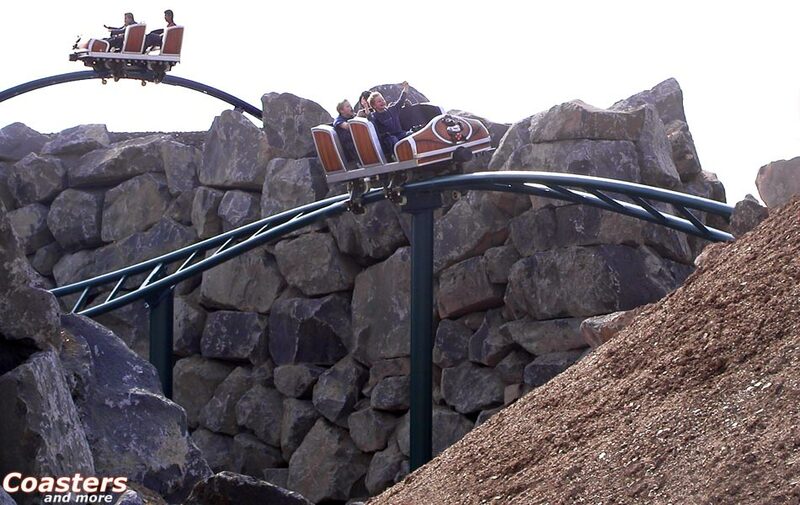 The five single cars are brought to a height of 20.5 meters using a chain lift, then they circle the volcano, negotiate two mouse bends and afterwards dive down in a daring helix towards a rock landscape: Up to six meters high rock faces, canyons and tunnels interact with the track. 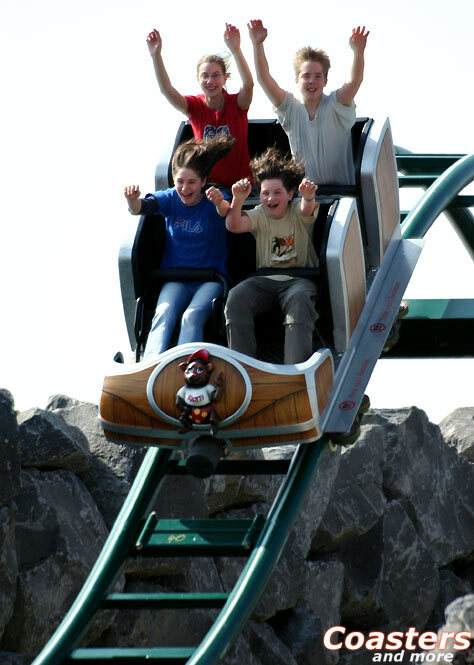 The trip lasts for just 50 seconds, but the riders experience seven moments of airtime and even race towards a steep face. 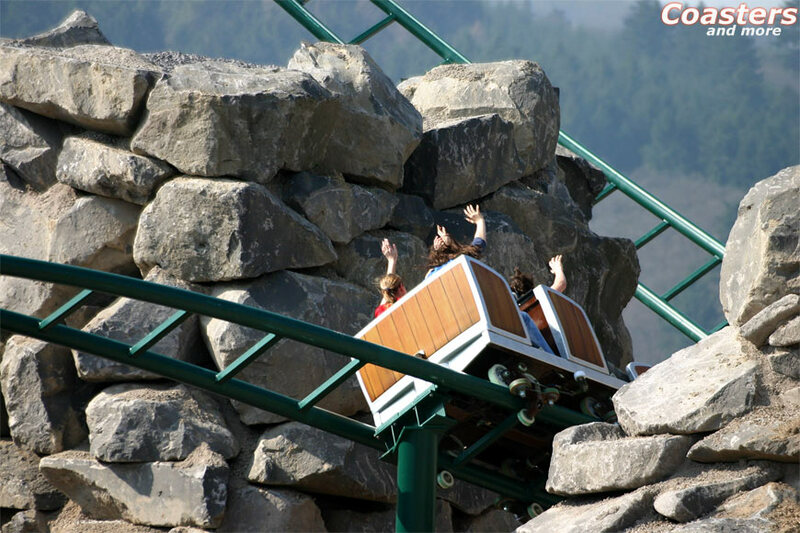 The "hot ride" through the volcano is going to be extended to an autonomous themed area - A 25 meters high volcano, lakes and ravines will gradually add to the rocky landscape. 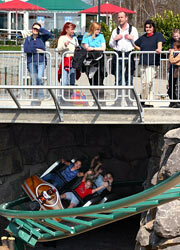 Later a 16 meters high log flume and a restaurant will complete the area. Right now those are dreams of the future. 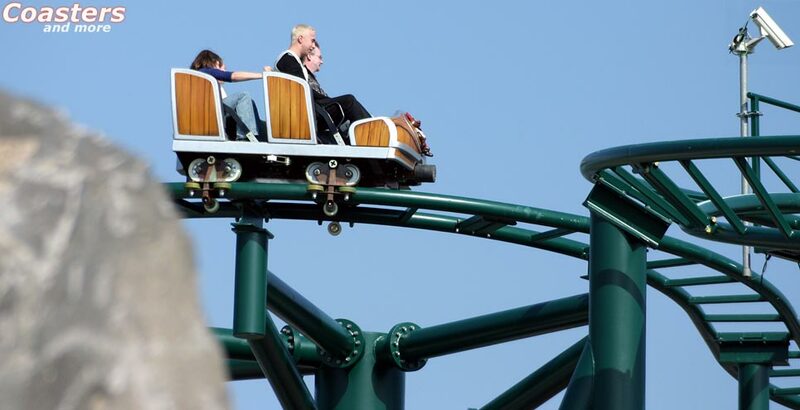 "2008 is a possible date for the completion", tells us Peter Schmitt, who is in charge of the building project for the park together with his former fellow student Michael Lambert. 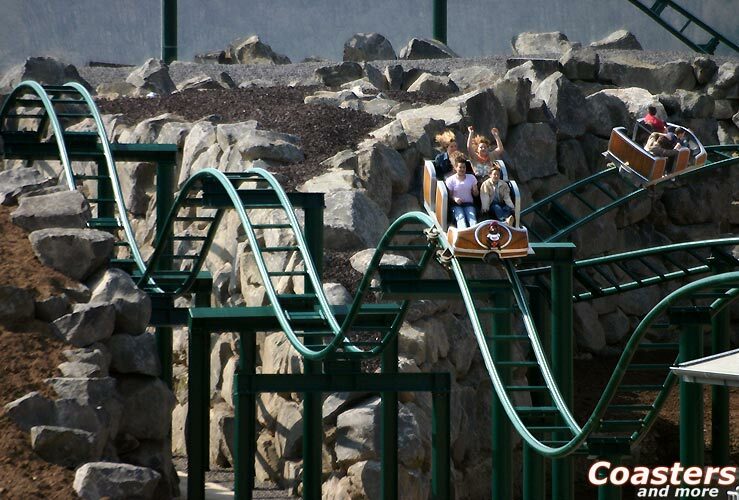 This was the first roller coaster in the career of the civil engineer from Pommern. "Compared to our everyday business this project was something very special", the engineer recalls on opening day. 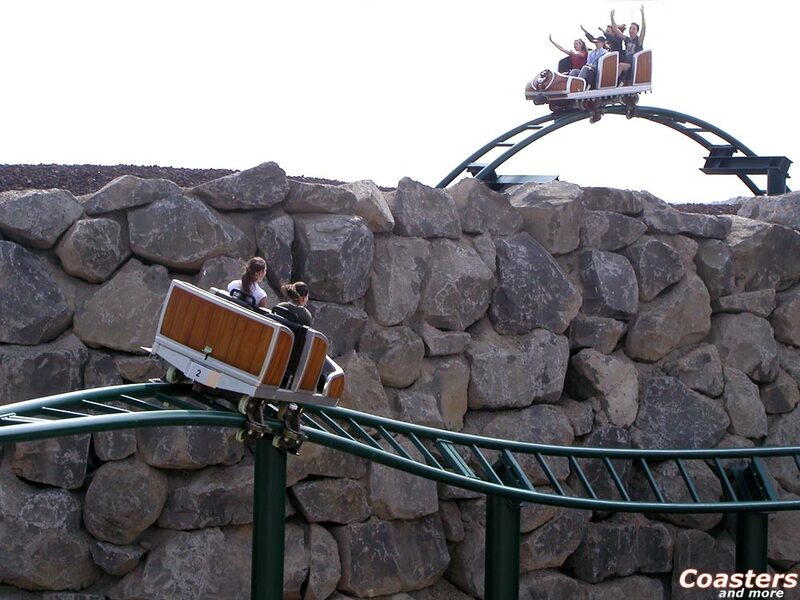 He was involved in the coaster project for two and a half years, including the preparations for the future attractions. The last twelve months it even totally occupied his small engineering office with its three employees. Peter Schmitt looks back on some worksome months: "In January of 2002 we visited the Interschau in Düsseldorf with seven people." They wanted to establish first contacts on this trade show for leisure technology. "Unfortunately the task was not so easy as we thought. 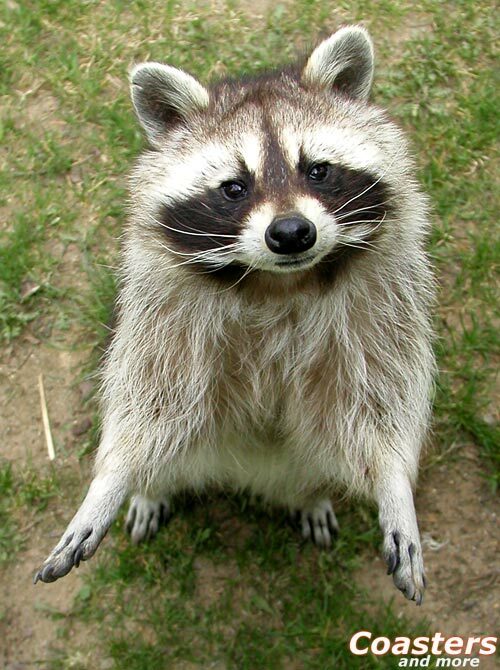 We were paid attention only by very few companies. 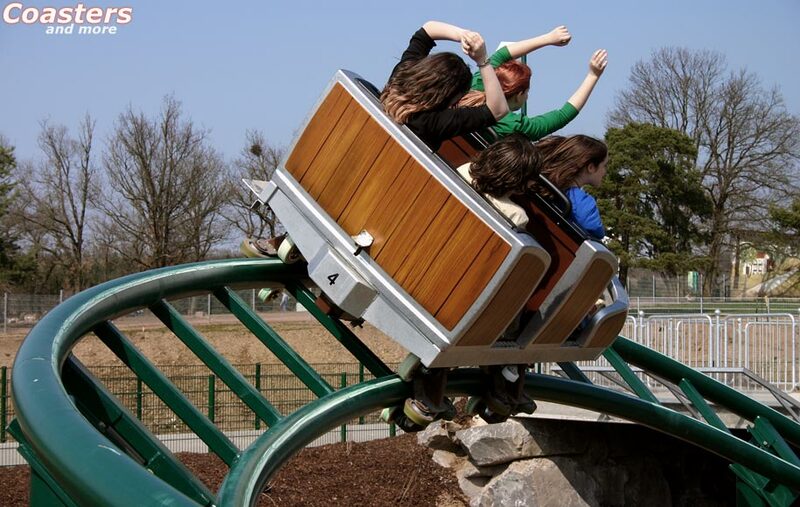 I can exactly recall the first comment of a well-known coaster manufacturer: ´Do you know at all what a custom-made roller coaster costs?´ Of course we knew this, but a standard ride from the catalogue, best placed in the open countryside, was never in the discussion with the Hennes brothers. 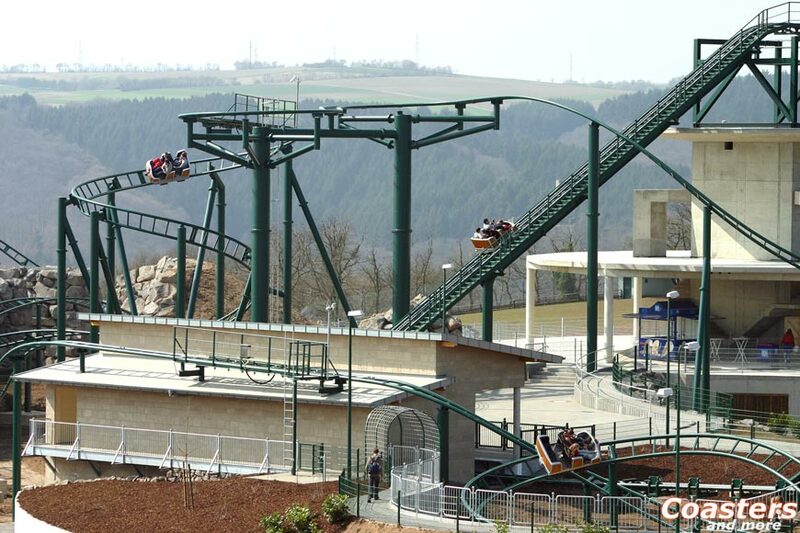 It was supposed to become something special, something that harmonizes with the nature high above the Moselle river and offers thrill for all ages. 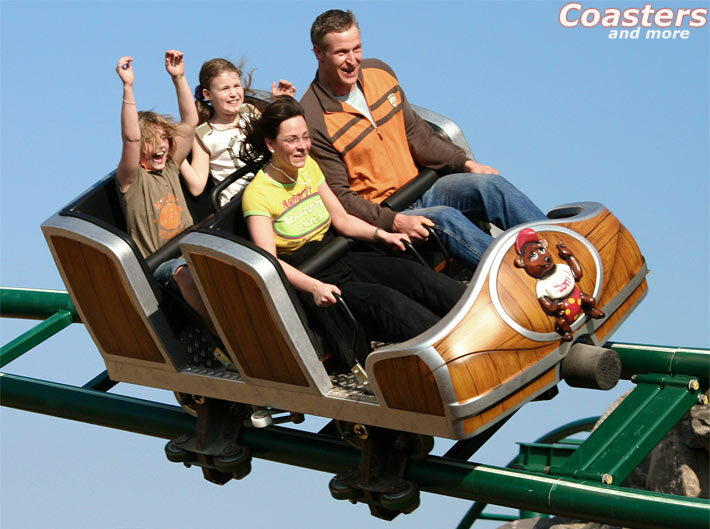 Later, after signing the contract, the aforementioned guy approached me and confessed that he better should have taken our interest in a coaster more serious. 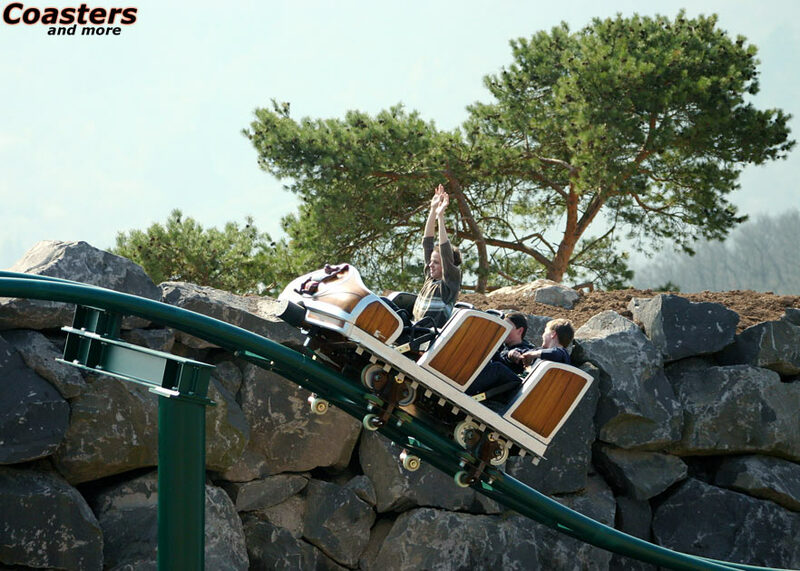 Because we made a strike after all: Gerstlauer gave us a hearty welcome and competent advice. This first contact was very pleasant, the atmosphere was simply fantastic. 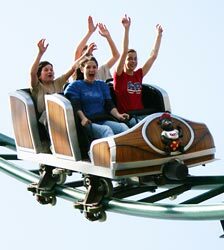 We as "ordinary" people found other "ordinary" people who build roller coasters." 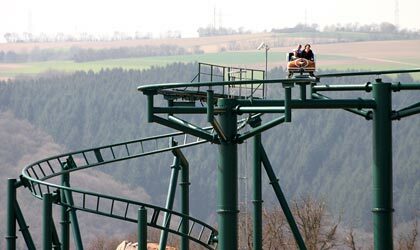 The Gerstlauer Elektro GmbH was founded at the end of the 80s by Hubert Gerstlauer, at first without any relation to the amusement business. 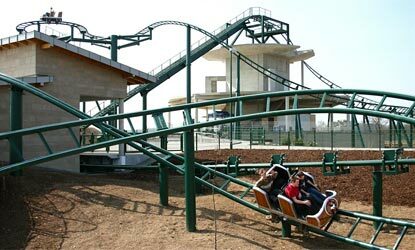 The head of the company is a former employee of Anton Schwarzkopf, the pioneer of modern roller coasters. 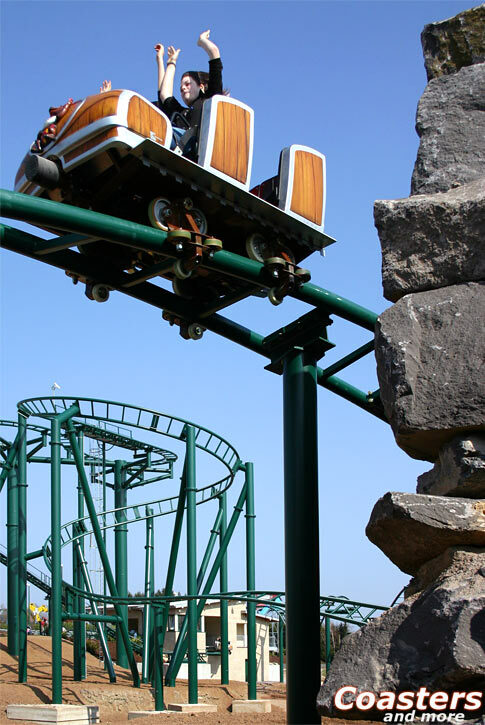 1997 Gerstlauer joined the coaster business and became an important player in the middle segment. 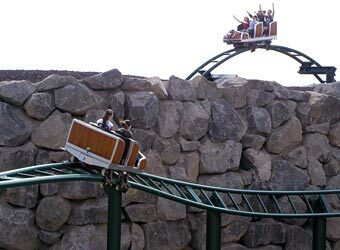 His focus lies on rides with single cars that allow curve combinations totally different from those negotiable with trains. 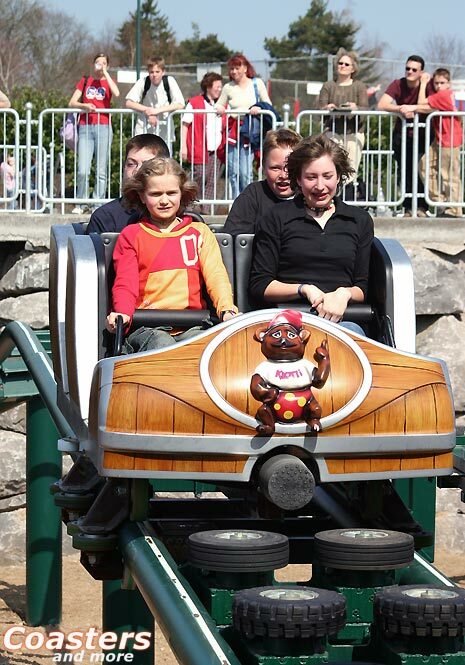 Despite their rather small dimensions those coasters are able to match the larger representatives of this kind. 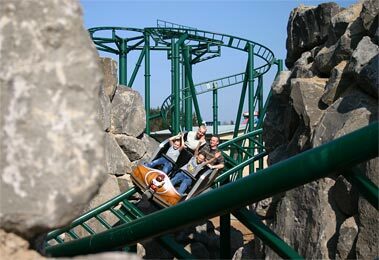 Instead of height and speed they offer fast directional changes, tight curves and hair-raising ride elements. 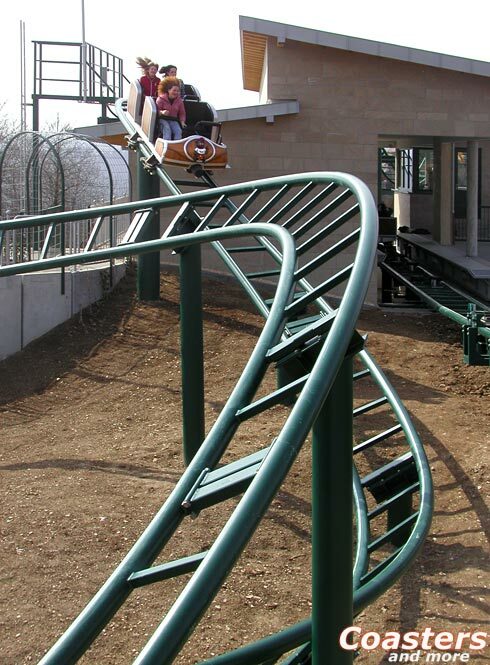 The Bobsled Coaster for Tripsdrill in southern Germany marked the beginning of the coaster business. In 2003 the Eurofighter debuted, a looping variant with a vertical lift and a 97 degrees drop that was a totally new development. 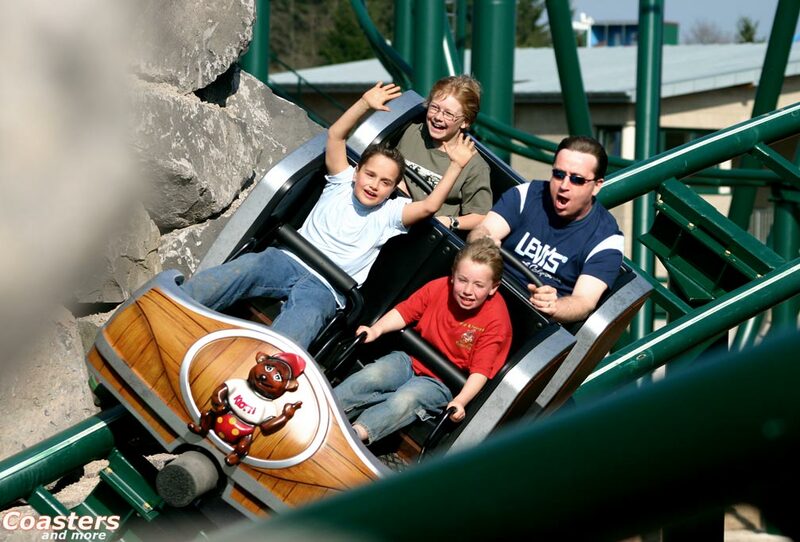 Klotten's coasters wasn't supposed to get any inversions to keep the minimum age with four years very low, but it perfectly fits into the concept of a combined roller coaster and log flume complex. 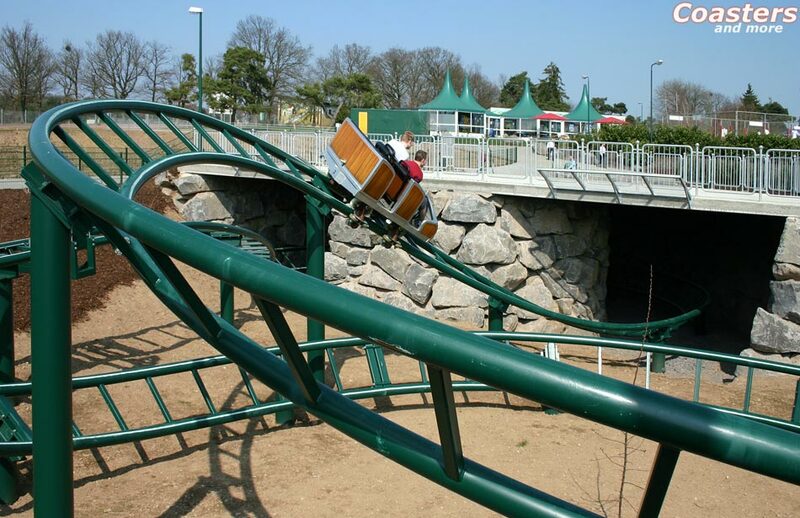 Josef Hennes was absolutely convinced after the talk at the trade show: "I always liked Gerstlauer's first Coaster G'sengte Sau at Tripsdrill." 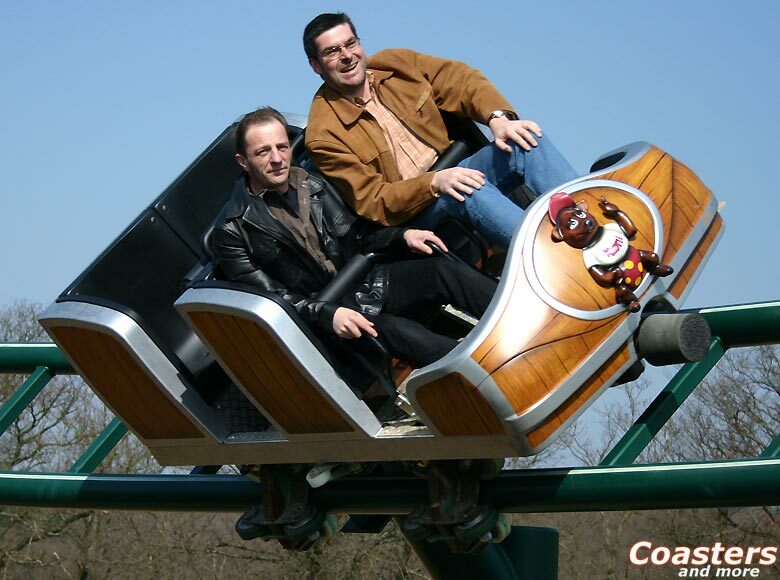 Twelve months later the contract with Gerstlauer was signed. "We used the time before to find a theme and to roughly design the layout", Peter Schmitt remembers. "We had an active brainstorming during quite a few cups of coffee until we finally had the idea with the volcano." 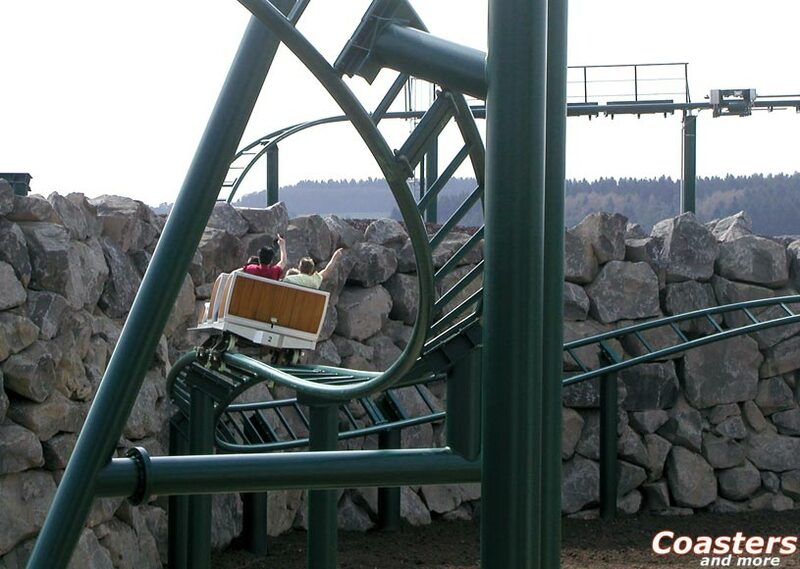 In the meantime Wendelin Stückl, who exclusively works for the Gerstlauer company, contributed the first track layout. 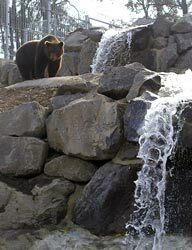 In between Peter Schmitt was involved in the planning of a new bear enclosure that was designed as a rocky landscape made of basalt stone. "The stone was delivered by a friend of the Hennes brothers who owns a quarry nearby", says Peter Schmitt. 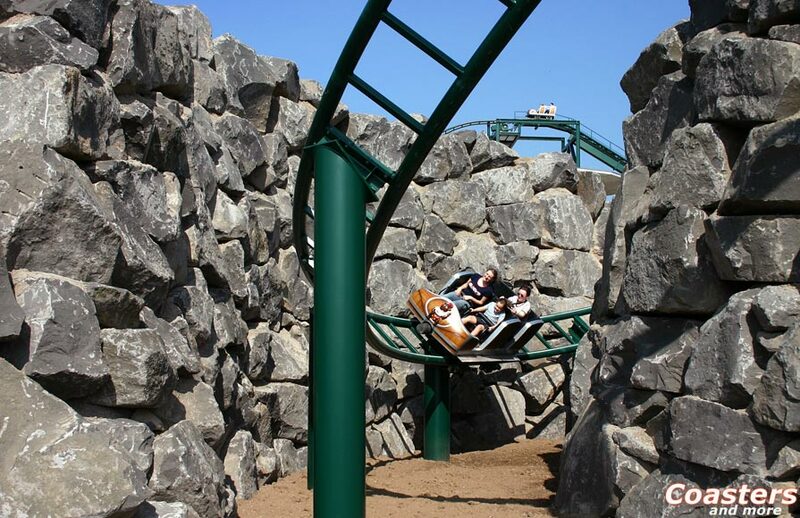 "Literally tons of fragments accumulate that usually are of no use, but we could utilize them for theming the coaster." Together with Wendelin Stückl the first draft layout was re-adjusted. The result was a canyon with up to six meters high walls the track passes by a hair's breadth. "At arranging the rocks my former fellow student Michael Lambert supported us. He joined in in March 2003 because the project grew too large for my three men office." 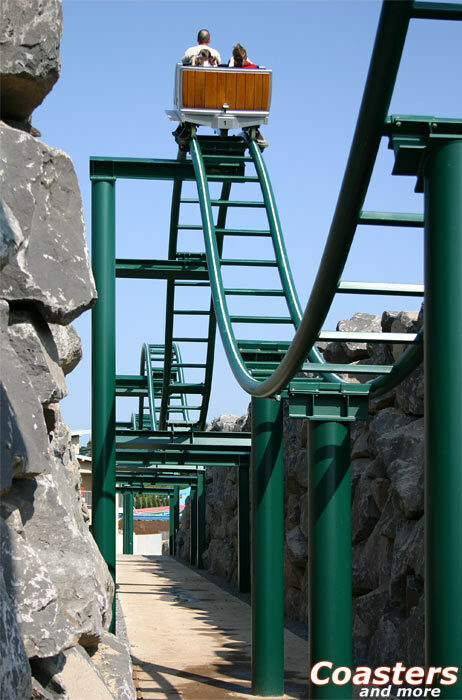 Even the envisaged log flume was integrated into the planning of the support structure of the roller coaster, the foundations and the underground pipes for water and electrical systems. Our creative work was drastically aggravated by an immense pressure of time", says Peter Schmitt. "At the end of February 2003 the contract with Gerstlauer was signed, at the end of May we received the first usable documents from Gerstlauer/Stengel [remark: The engineering office Stengel was responsible for calculating the dynamics and statics as well as the design of the support structure which was the basis for the planning group of Schmitt and Lambert to prepare the foundations], so we filed the building application for the earthworks in best time. 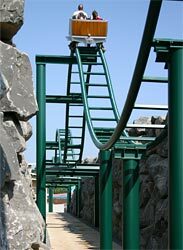 After Gerstlauer had provided all documents we could file the building application for the buildings and the coaster itself in July 2003. 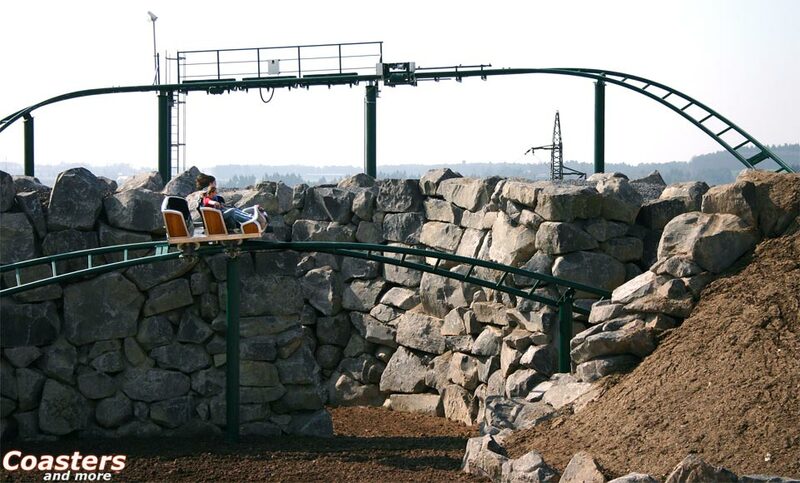 The construction started at the height of summer, but we only just received the building permission for the whole coaster in the middle of November. One day before St Nicholas' Day the core of the volcano that also holds most of the support structure of the lift hill was completed. Praised be the cooperation of our local authorities who closed all eyes in view of our building activities." 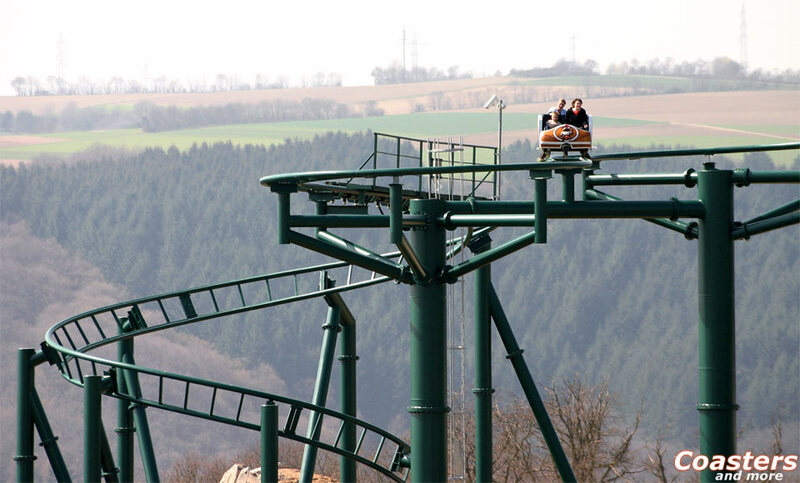 A total of 24 companies and engineering offices was involved in the largest project in the history of the Wild- und Freizeitpark Klotten. 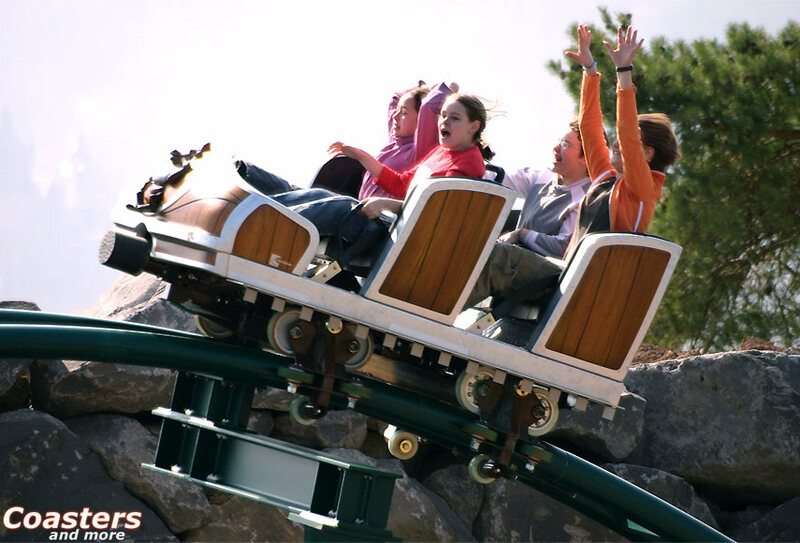 With the exception of five firms they all came from the surrounding area, and project manager Peter Schmitt is very proud of that: "We haven't involved Polish or other foreign cheap suppliers into the coaster project. That's private, regional business development ´live´ without any political waffle. And it was the only chance to resolve the task in such a short time." Between the start of construction at the height of summer 2003 and the opening on 1 April the following year only nine months passed by, a very short period of time to convert a 1.2 hectares cow paddock into a rock landscape. Now only a few spots lie idle temporarily, but this can´t be avoided during the multiple years of construction until the final state will be reached. Later they will be replaced by small lakes that will flank the volcano with an opulent riverine vegetation. "The narrowness of the building site demanded a sophisticated coordination", says Peter Schmitt. "1.2 hectares may sound pretty much, but the place was crowded all too soon. There were conflicts between the companies every now and then, but they all could be solved amicably. 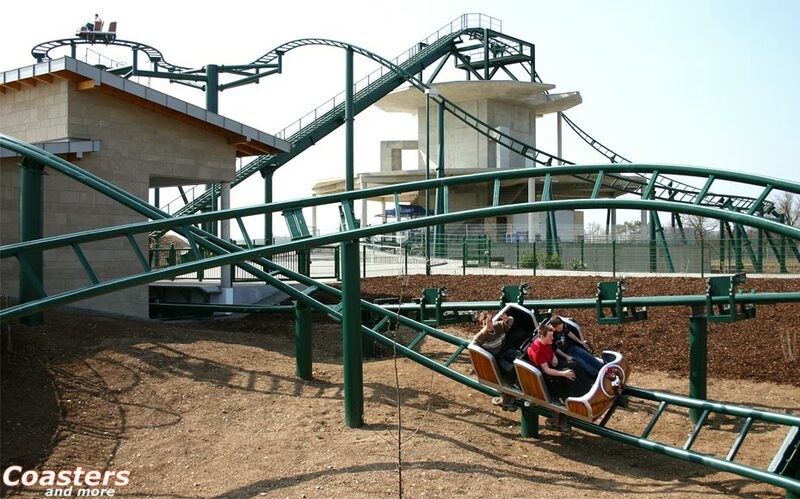 The chaos was perfect when the track elements and supports needed last were delivered first from Slovenia [remark: The Stakotra company from Bratislava that produces supports and track for companies like Intamin, Premier Rides or Zamperla also delivered the bigger part of the steel components for Klotten]. In Eastern Europe they seem to have a different understanding of just-in-time delivery - despite detailed freight lists." 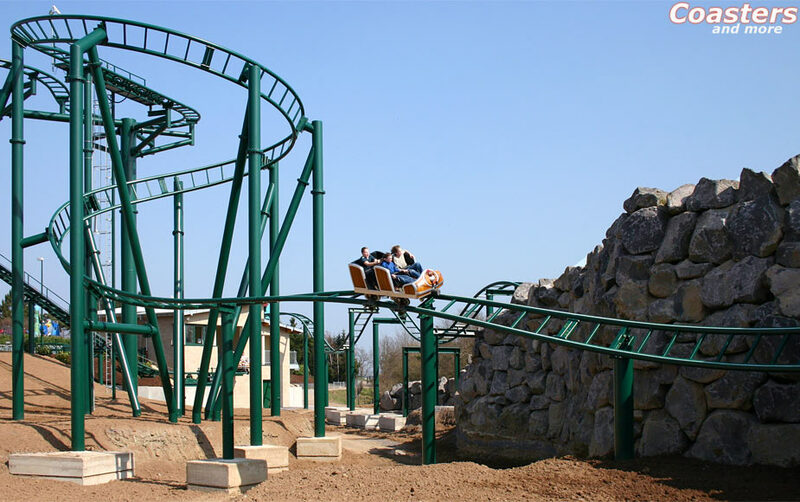 For the erecting the supports and fitting in the track elements the Ride Construction Service of Max Eberhard was engaged, a company with ample experience in the construction of roller coasters and other rides. They masterly overcame those problems, and so the last segment could be put into place two days before christmas. The worst headache for Peter Schmitt and Michael Lambert was caused by the handling of the basalt stones. 8000 tons were necessary to arrange the landscape that is placed predominantly in the rear part of the site: "The transport was the biggest hurdle", Peter Schmitt remembers. "At the first loads one trailer and several trough containers were ruined while dumping the stones, so we found no carrier to transport the stones and to dump them by pouring them out. So we had to quickly find and rent a second digger with a multi-movable hydraulic gripper. Those things are pretty rare, so this task was not too easy." The reward for these efforts is a unique rock arrangement the cars negotiate in harakiri style. Klotten's roller coaster is a second Nemesis! 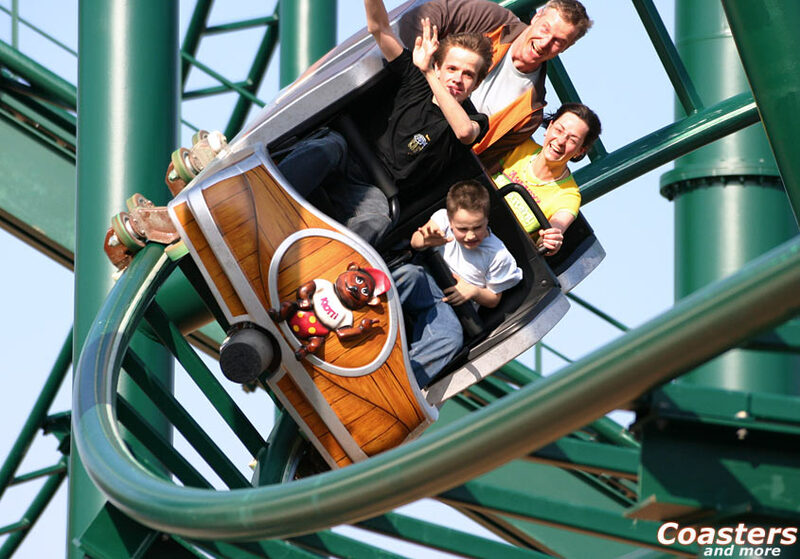 Despite all difficulties and the pressure of time everything went as planned: On carnival tuesday the ride got the blessing of TÜV Munich and completed the first test runs without any problems. 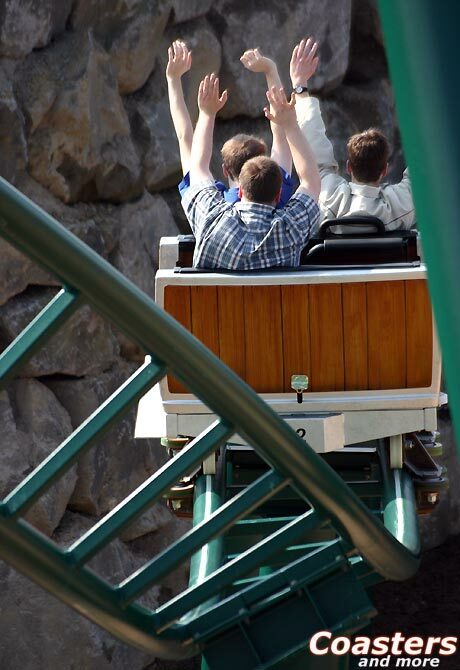 Visibly relieved Peter Schmitt and Michael Lambert took their seats on opening day and enjoyed the "hot ride" through the volcano. Right now this volcano only consists of the concrete carcass, but the plans for further construction stages are already in reserve. To make the volcano as authentic as possible, Peter Schmitt went on photo safari to Lanzarote where many active volcano landscapes can be found. 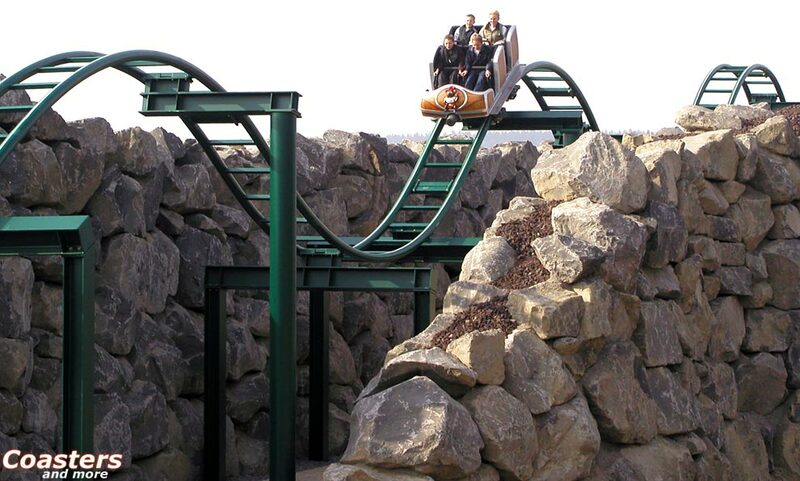 Already during the next months the one at Klotten will be upgraded by a fog effect in the tunnel before the final brake. In addition, it is planned to erect a typical rope crane in the canyon, together with a water effect. A cistern with a capacity of 5000 liters was already installed. 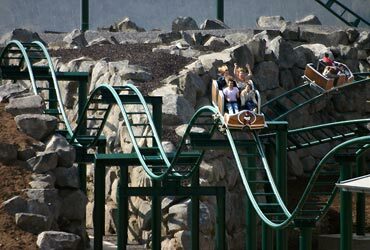 For Peter Schmitt the everyday business has begun again - numerous garages, outbuildings and houses had to be deferred because of the roller coaster. But as soon as next year the volcano will take center stage. Which step is going to be tackled next depends on visitor attendance: Breaking the 200.000 mark is the big aim for this year. The economic risk for the Hennes brothers is high: About 4.5 million Euros have been invested only for the first stage. 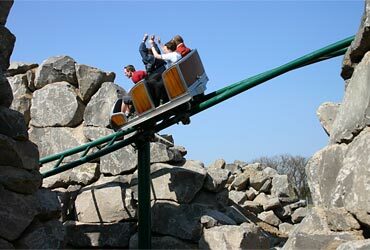 It remains to be hoped that the coaster will bring the expected increase in visitor numbers - it would really deserve it.